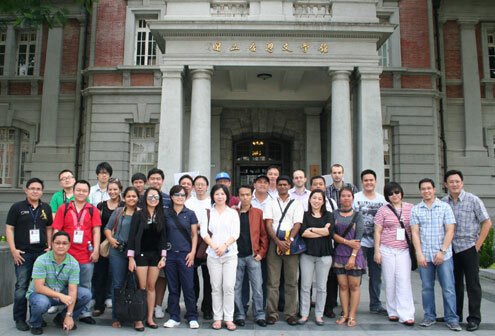 The Role of Youth Wings in Political Parties was addressed in a workshop organized by the Council of Asian Liberals and Democrats (CALD) with the support of the Friedrich Naumann Foundation for Liberty (FNF) on August 17-21, 2010 in Kaohsiung, Taiwan. This also marked another milestone in CALD’s history with the creation of CALD Youth when the young participants from CALD’s member parties saw the need to increase their influence, not only in their mother parties and CALD, but also in national, regional and international affairs. The delegates initiated the formation of CALD Youth to promote youth participation and empowerment in Asia and the rest of the world. Several prominent members of CALD were present at the workshop. Present CALD Chair Dr. Rajiva Wijesinha, in his welcome remarks, emphasized the need to develop a “collective youth voice in politics,” and to achieve this, the youth can be guided by the “3Rs” – radicalism, reform and renewal. Former CALD Secretary General and Democratic Progressive Party of Taiwan (DPP) Director of International Affairs Ms. Bikhim Hsiao pointed out that the DPP has always been associated with the youth. She said that DPP’s victory in the elections a decade ago can be attributed to the youth’s powerful electoral bloc. “It is a challenge to govern and to make a difference – and the youth always plays a pivotal role in the process,” she added. Ms. Maysing Yang of Democratic Progressive Party of Taiwan welcome the participants. CALD Youth is composed of youth wings/departments/desks of CALD member and observer parties namely: Democrat Party of Thailand (DP); Democratic Progressive Party of Taiwan (DPP); Liberal Party of the Philippines (LP); Parti Gerakan Rakyat Malaysia (PGRM); Singapore Democratic Party (SDP); Liberal Party of Sri Lanka (LPSL); Nation Awakening Party of Burma (NCUB); Sam Rainsy Party of Cambodia (SRP); Indonesian Democratic Party of Struggle (PDIP); Democratic Party of Japan (DPJ); Democratic Party of Hong Kong (DPHK); and Partai Kebangkitan Bangsa of Indonesia (PKB).